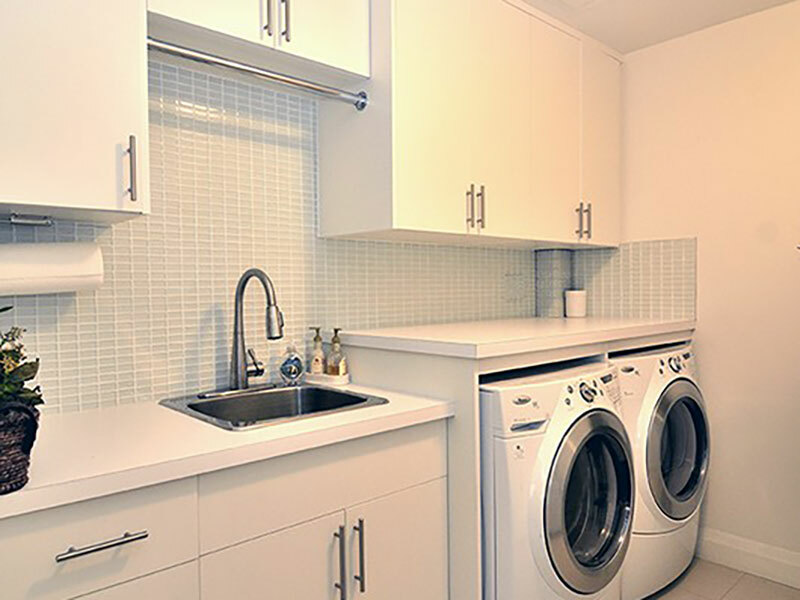 The laundry room is primarily a place of work. 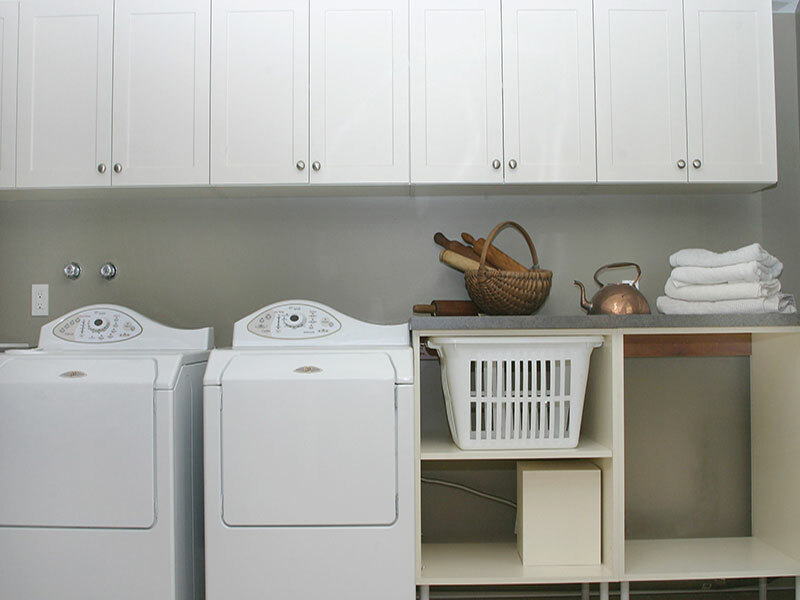 It is where you fix stains, put on loads of laundry, hang up your delicates and fold clothing. 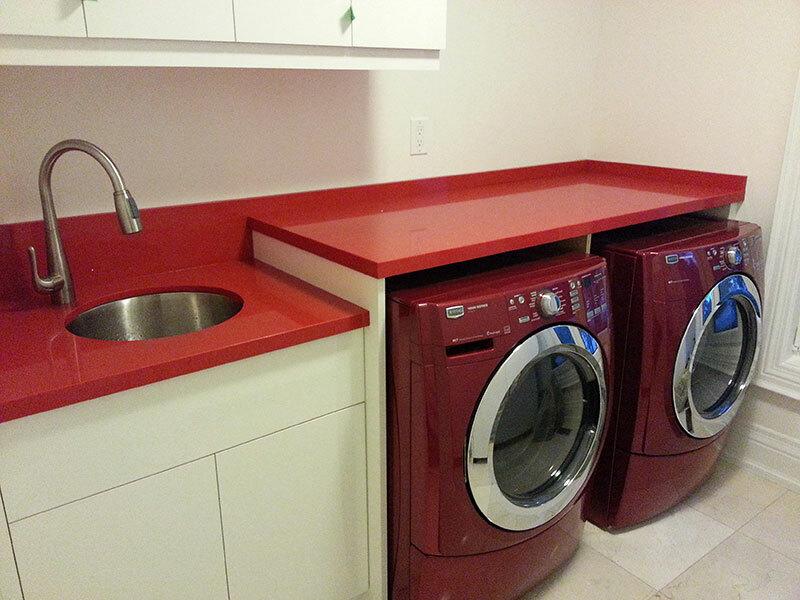 In order to make this room as efficient and beautiful as possible, it is important to maximize its work potential. 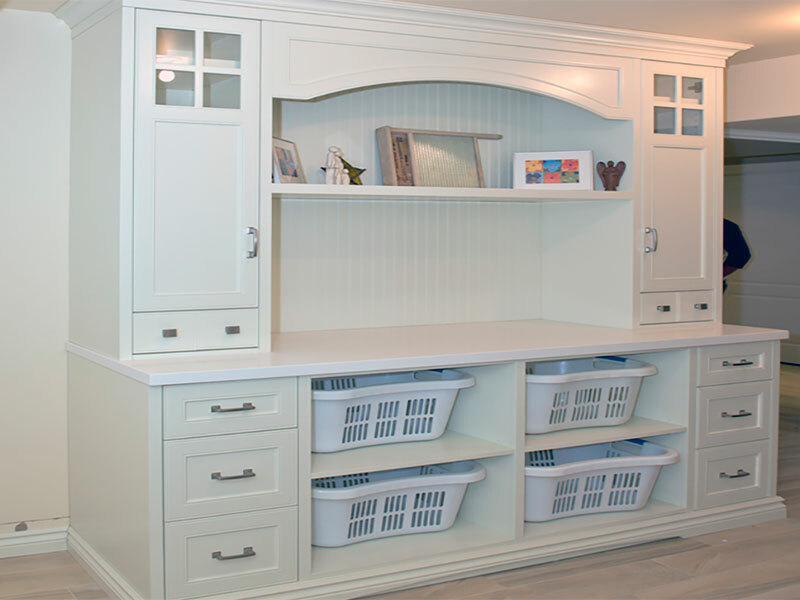 As closet and cabinet experts, we are able to take your laundry space and transform it into a room that meets all these needs and more. 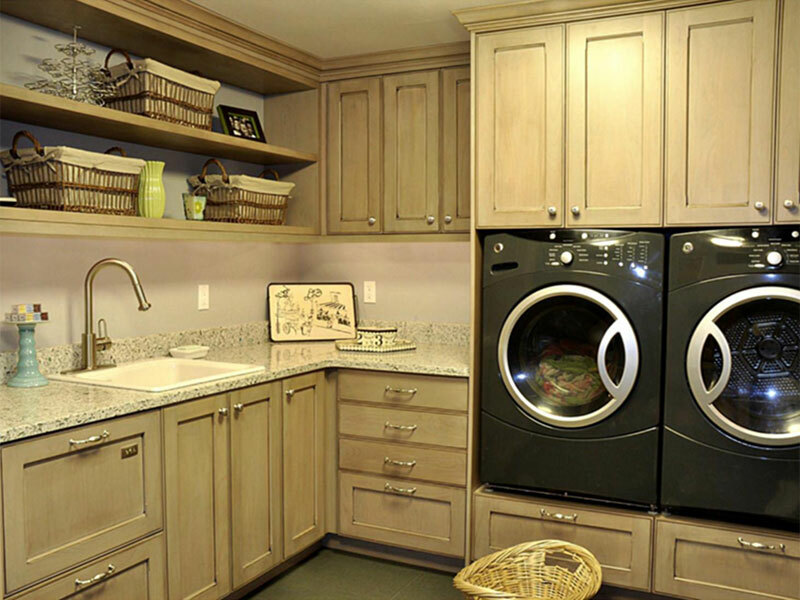 With our built-in and fully customized solutions, you won’t be able to imagine your laundry room without the time-saving storage and work space solutions we offer. 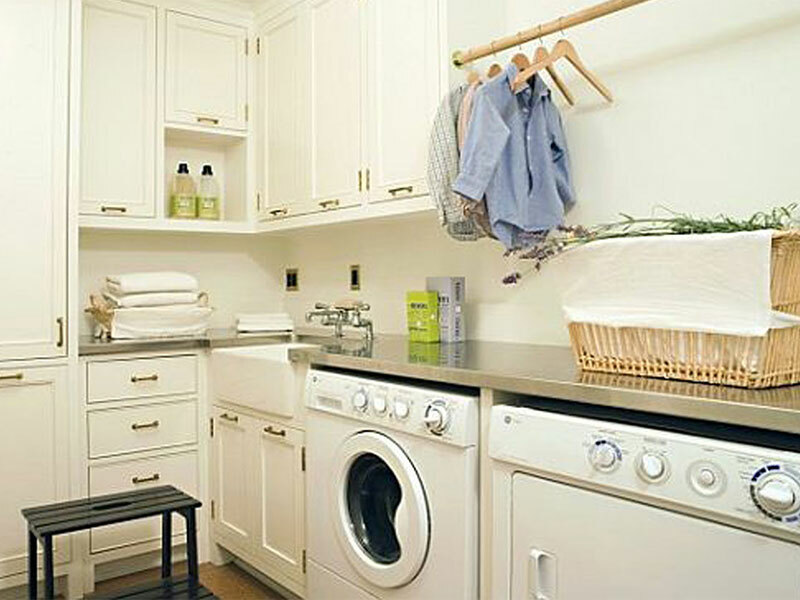 A properly designed and custom-built laundry room can be an amazing space saver, which in turn will save you time and energy. 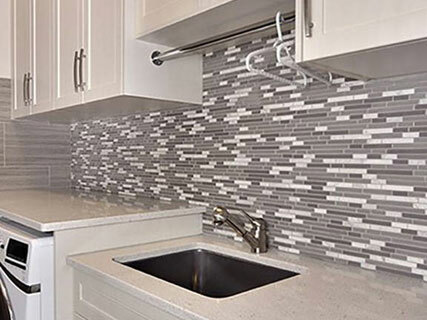 It is important to customize the space to match your needs and the room’s size and shape. 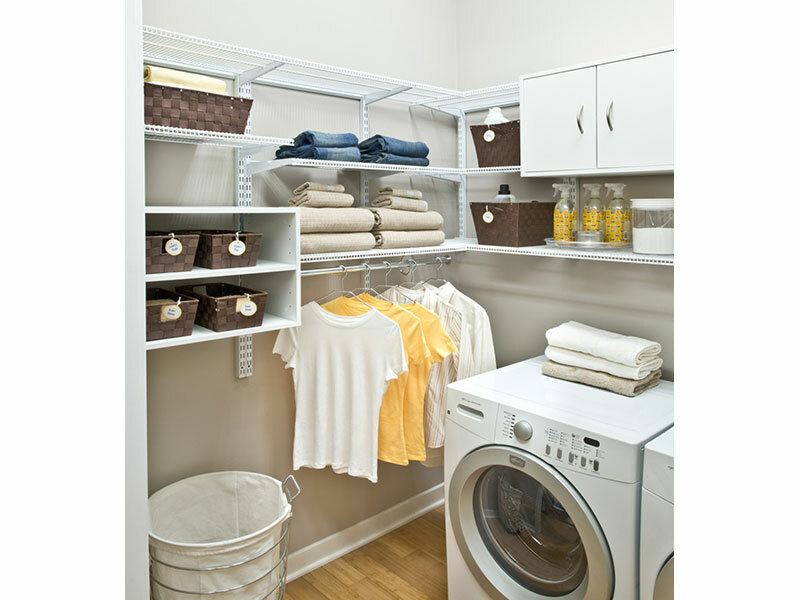 If you are ready to start building your dream laundry room, call us today! 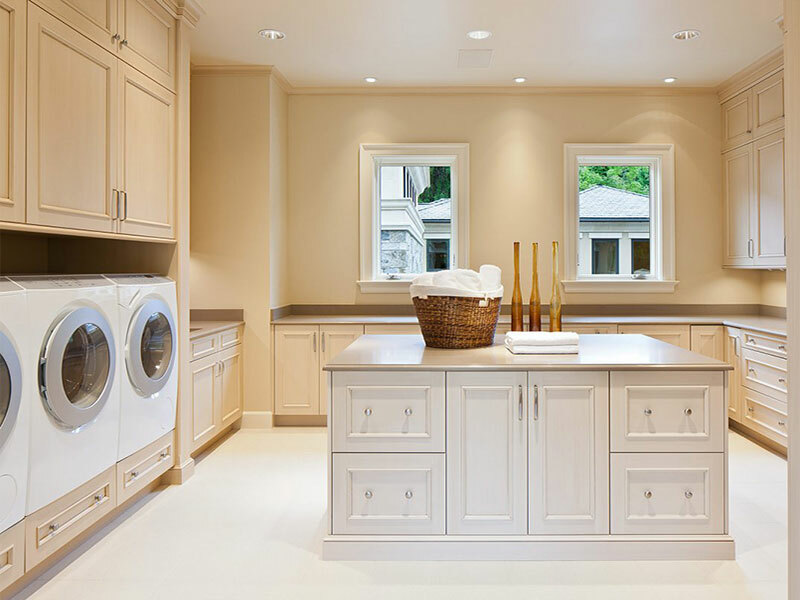 We can give you a free in-home consultation so that you can start designing your ideal laundry room.